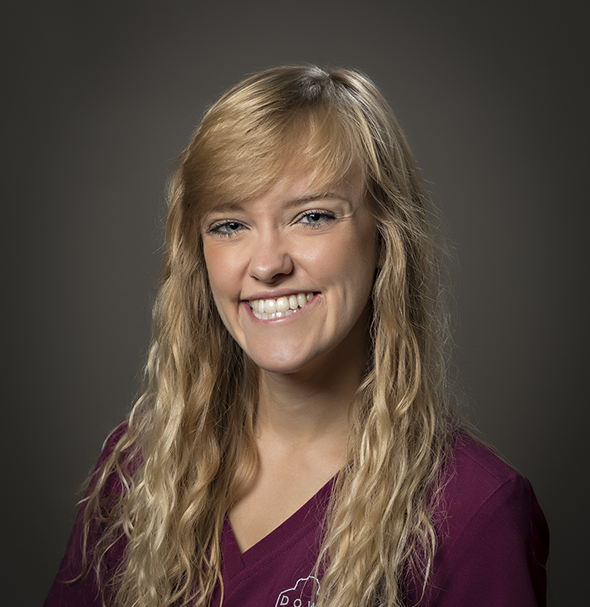 Beka Ryba, a Dental Assistant with Downtown Dental Group, was drawn to dentistry by a jaw surgery she had in 2014. When it comes to what she likes the most about being a part of the DDG team, the family atmosphere at DDG takes the cake. One of her favorite memories here at DDG was when a young patient pretended to be a cat during a visit. The child’s father wasn’t too pleased about it, but Beka thought it was adorable. When Beka is not working, she enjoys crafting and spending quality time with her dog. It’s no wonder that dogs are both her Achilles’ heel and the way to Beka’s heart.